Aalayam - Colors, Cuisines and Cultures Inspired! 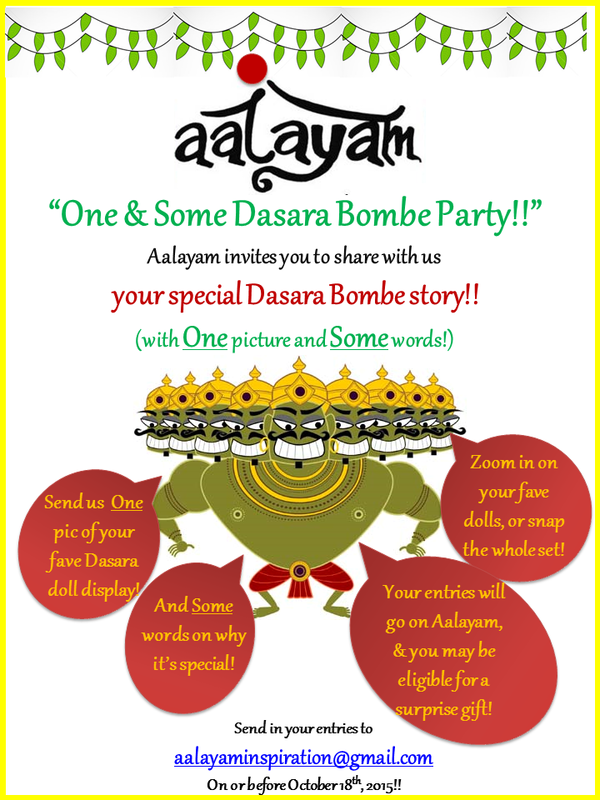 : Dasara Bombe Party at Aalayam!! Dasara Bombe Party at Aalayam!! Sri Durga Malleswara Swamy Varla Devasthanam will organize Dussehra 2017 Mahotsavam for 10 days from September 21st in the city of Vijayawada at atop of the Indrakeeladri.